Chinese food = yummy ... in theory. More often than not, I'm disappointed whenever I get Chinese food. If I make it myself, then I can get it at least a little bit closer to how tasty I remember it tasting. Part of the problem, I think, is that most Chinese restaurants make terrible vegetarian options. Last week I wanted Chinese but had no eating-out money. Plus, I had a fridge full of veggies I needed to use. 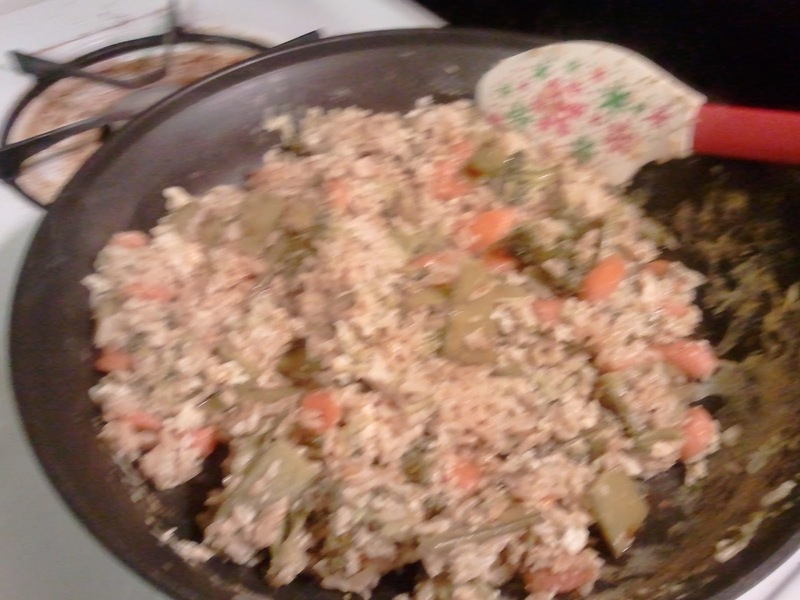 On a whim, I made veggie fried rice. 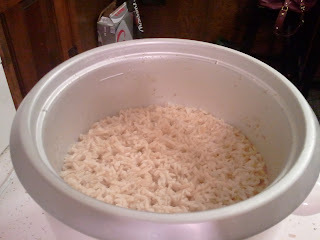 I've made it before, but this is the first time I let a rice cooker do most of the work for me. 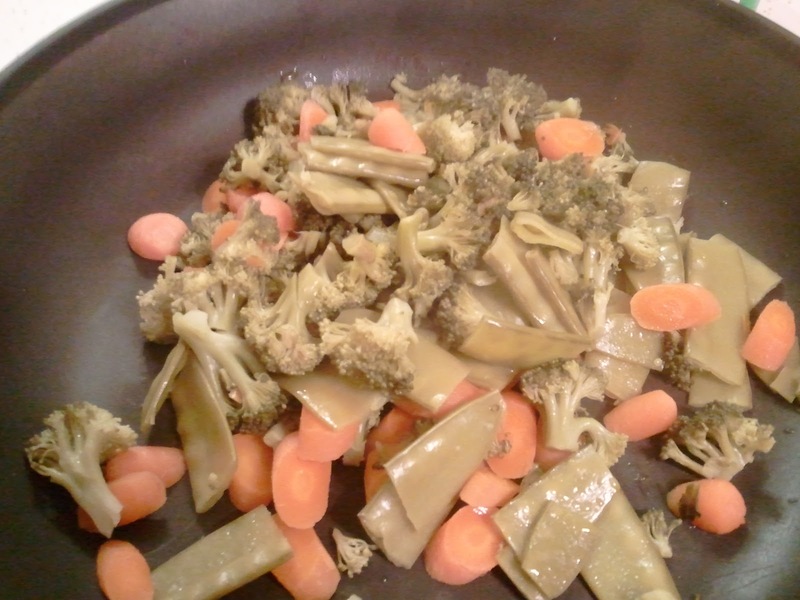 You'll need a large skillet or wok, oil, soy sauce (preferably low-sodium), eggs and garlic. 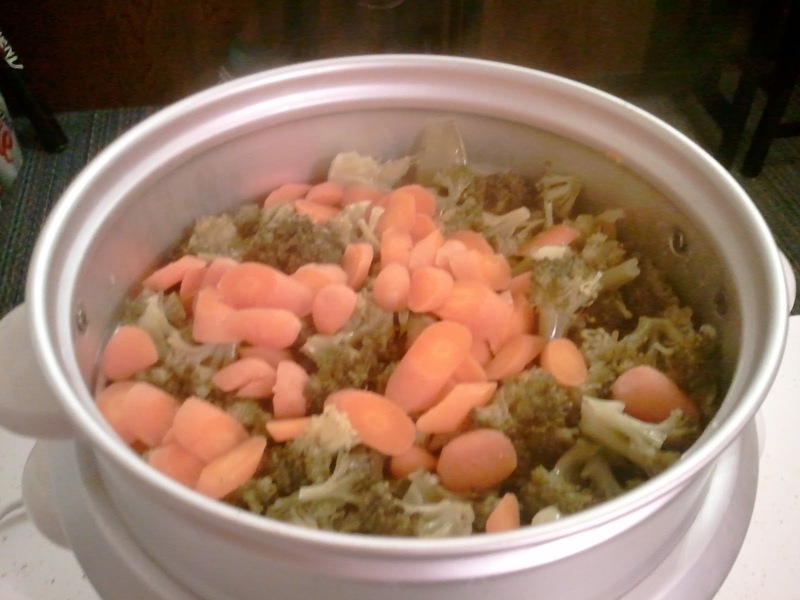 I put rinsed, chopped carrots, broccoli and snow peas in the top of my rice cooker. 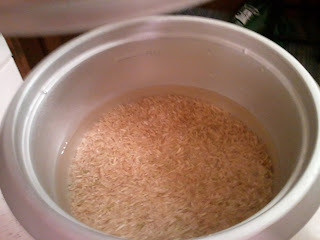 Rinsed brown rice and water in the bottom. 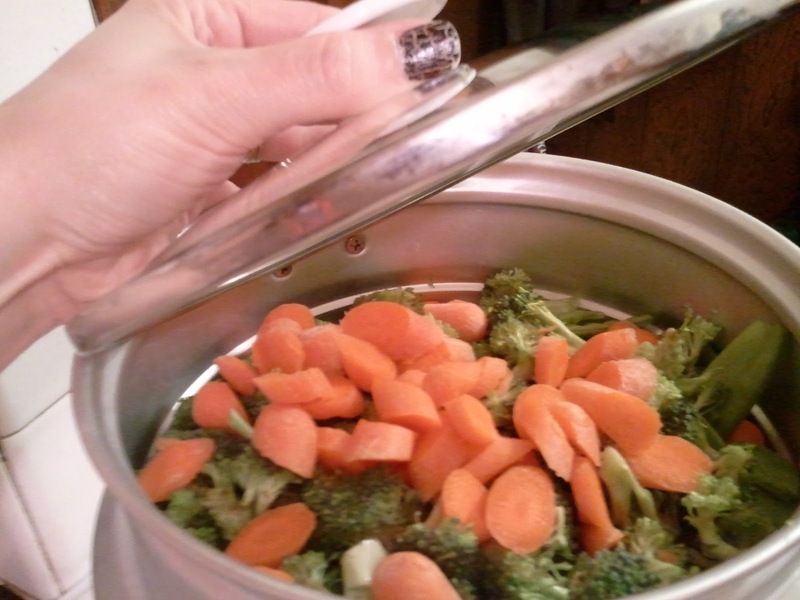 Perfectly steamed veggies! 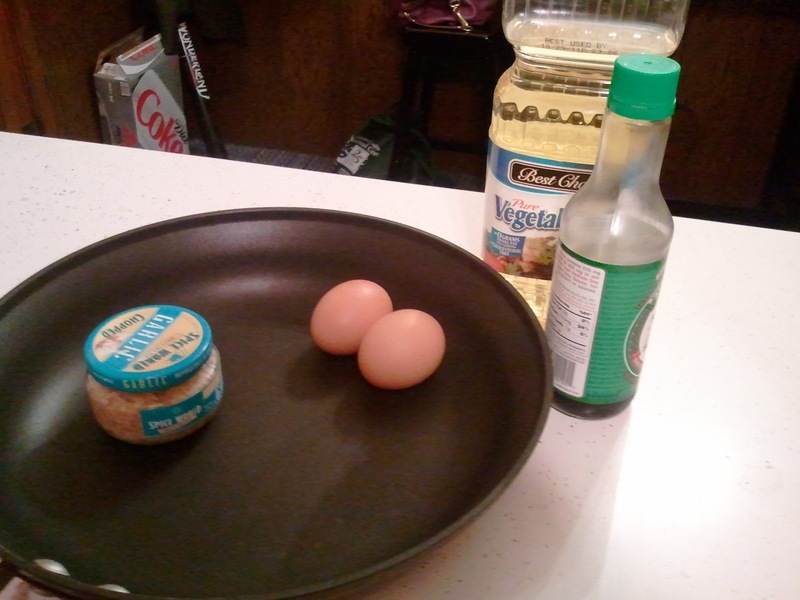 So I could throw them in the pan with a little oil. 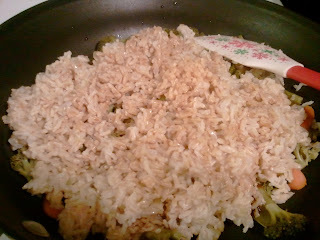 The rice was cooked and just barely sticking to the bottom. In a perfect world, I'd use day-old rice. But who just happens to make rice a day ahead? 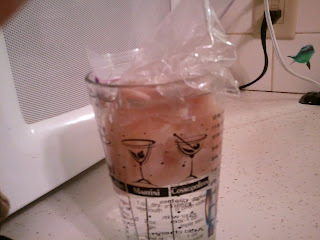 I have not that foresight. Rice goes into the pan. Cover it in soy sauce. You can always add more later, but I like TONS of soy sauce, so I start pretty heavy with the stuff. Also, some garlic. 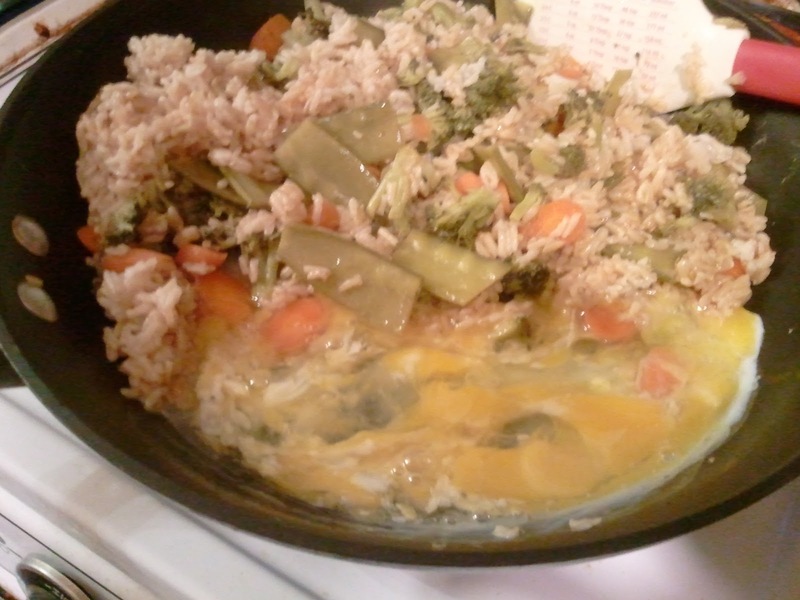 Push the rice and veggies off to the edge and crack the eggs into the pan. Let them cook up while stirring. Then mix it all together and add more soy sauce as needed. 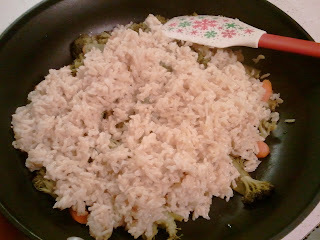 This is a great way to use up any leftover rice from Chinese takeout or veggies in the fridge that are about to go bad. Because you can control the amount of oil and salt in the fried rice, I call this a slightly healthier alternative to ordering in from your local Chinese restaurant. Plus, it's a heck of a lot cheaper. If I'm feeling naughty and decadent, I make crabless rangoons, too. But that's been a while. The meal above probably should have served three or four people, especially if I'd made any sort of sides. But I didn't make sides and I'm constantly starving thanks to roller derby, so I got one dinner and a lunch of leftovers out of it.